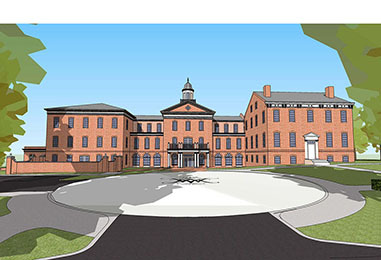 The Alumni House Expansion is Underway! 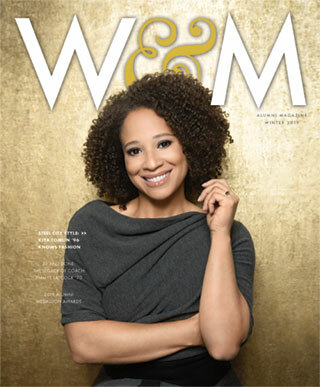 Signature Threads Kiya Winston Tomlin ’96 Knows Fashion Go Like You'll Stay Forever Thirty-nine years at the helm: the legacy of Coach Jimmye Laycock '70 2019 Alumni Medallion Recipients Find out who will be awarded with the 2019 Alumni Medallion. Students Voices: One Tribe One Day 2019 This past Tuesday, William & Mary hosted its sixth annual global celebration of giving back and paying it forward, and it featured a campus carnival for students and faculty and events for alumni around the world. 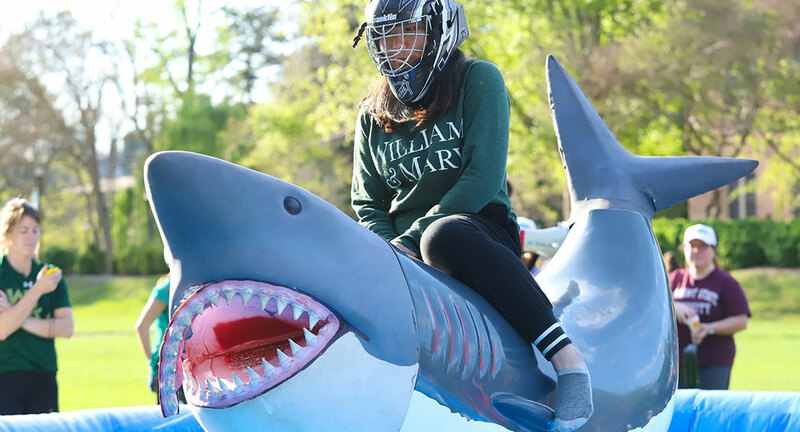 Mixed among the fun was the spirit of generosity that makes this W&M tradition so special. One Tribe One Day, after all, isn’t just about the carnival; it’s about the connections, which bring together the Tribe community for the common goal of giving back. 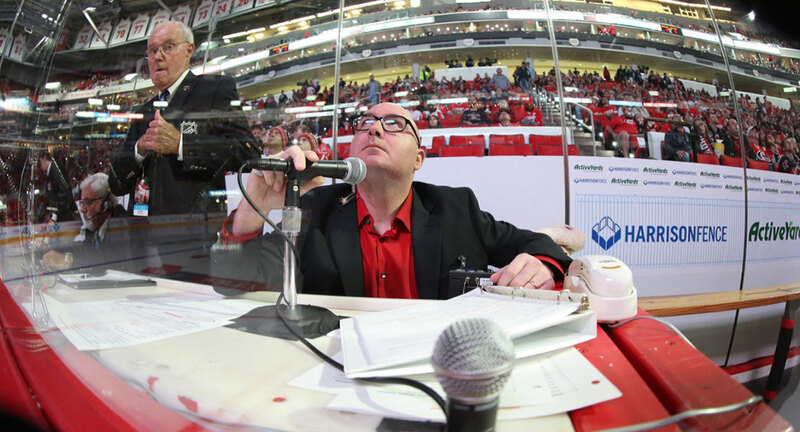 From Carolina Hurricanes fan to announcer How do you go from sports superfan to a part of the team? Ask Wade Minter ’97, who achieved this dream, in his own way. 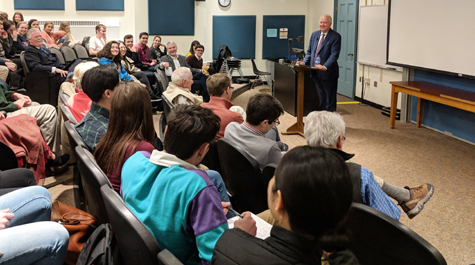 Alumnus Shannon addresses a career spent in foreign service Alumnus Tom Shannon ’80, diplomat, former ambassador, former acting United States Secretary and Deputy Secretary of State, returned to his alma mater for three days recently that were instructive and informative for everyone he encountered, but hardly restful. New signs identify William & Mary buildings named for women A small change is making a big difference in the visibility of the identities of women who have contributed to the history of William & Mary. 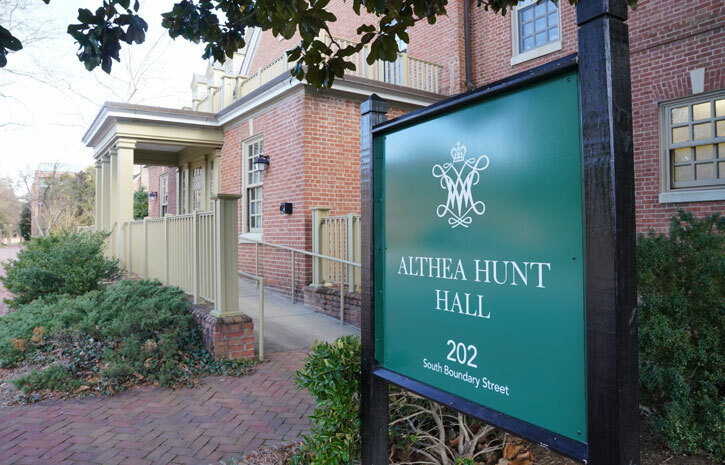 Sparked by the committee in charge of W&M’s 100 years of coeducation commemoration spanning 2018-2019, new signs bearing the full names of five buildings and an athletic field named in honor of women were placed on campus over winter break. 100 Years of Coeducation at W&M In the fall of 1918, 24 women were admitted as undergraduate students at William & Mary. During the 2018-19 school year, we are celebrating the accomplishments of more than 55,000 alumnae, students, faculty and staff who have followed in their footsteps. 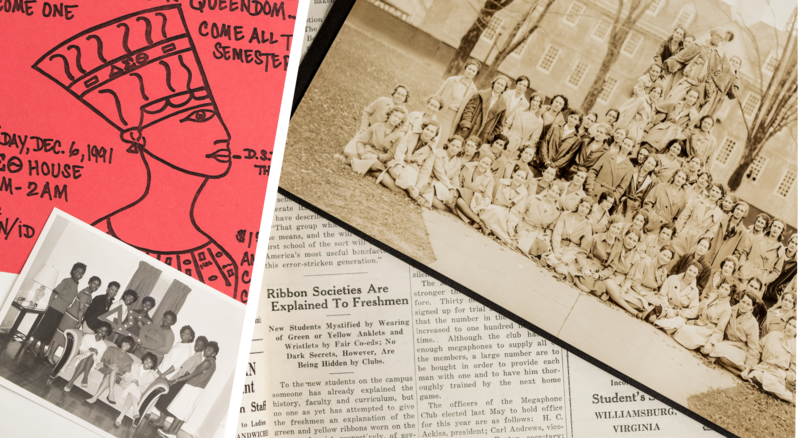 In the coming months we will be featuring vignettes from our fall 2018 cover story on the 100 years of coeducation at William & Mary. This is the second in that series. 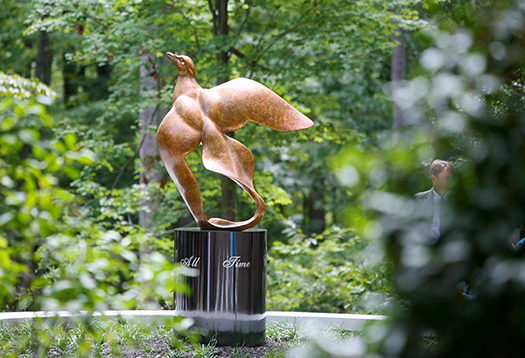 Located in the serene Matoaka Woods, the William & Mary Memorial Garden offers a unique and lasting option for interment of ashes. It is a place of remembrance for all time coming for members of the William & Mary family. Your days at William & Mary made a lasting impression on your life. 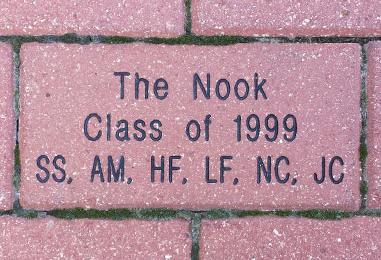 Now it's time to make a lasting impression on your alma mater by placing a personalized brick in the Elizabeth J. and Thomas C. Clarke ’22 Plaza of the Alumni House. The William & Mary Alumni House expansion and renovation project will make the Alumni House — which sits along Richmond Road next to Zable Stadium — one of the largest social gathering spaces on campus and in Williamsburg, at nearly 55,000 square feet. Construction began in January 2019 and is expected to end in fall 2020. The William & Mary Alumni Association has a goal of creating a world-class alumni engagement program. Alumni engagement is about keeping William & Mary people connected — with each other and the university. A world-class university deserves and needs a world-class alumni engagement program. Help us do more than we have ever done.